Only certified teachers teach genuine Iyengar yoga. All of ours hold the Iyengar Yoga Teachers Certification Mark, a sign of excellence, clarity and depth of understanding. To use this logo, they have to be properly trained and maintain their development. Ainhoa first came in contact with Iyengar Yoga as a child through ‘Light On Yoga’ and then again at Iyengar Yoga Maida Vale in the early 2000s. She has been practising for over 16 years and qualified to teach after completing the Introductory Teacher Training at IYMV. She has studied directly with the Iyengar family in Pune, India on three occasions, most recently in December 2016, and continues to attend weekly classes with senior teachers. She served on the IYMV Board of Trustees between 2007-11. Richard has been practising Iyengar yoga since 1975 and teaching since 1977. He has attended classes at RIMYI, Pune on 25 visits, and is a Senior Intermediate Level 3 teacher. He and his wife, Kirsten, are the directors of the Bath Iyengar Yoga Centre. He is a moderator and assessor for the IYA(UK). Marco was born in Italy. After a career as a professional dancer he came to London where he learned yoga. He has been practising since 1993 and teaching since 1998. He holds a Senior Intermediate level 2 teaching certificate and has visited Pune several times. He has also been a member of the IYMV Teaching Committee. Penny is one of seven of the Most Senior Leading Teachers of the UK, a special designation awarded to them by BKS Iyengar in 2009. She started teaching herself from a book and first met BKS Iyengar in 1971 when he was teaching in London. As his direct student, she visits Pune yearly. She has been teaching since 1974. She teaches the Teachers Class, Intermediate and General classes and runs the Senior and Intermediate workshops at IYMV. She is a Moderator and Teacher Trainer for IY(UK). She was a founder member of IYMV and for many years was actively involved in The National Teachers Association and currently sits on the Assessment & Teacher Training Committee of IY(UK). Rosemary has been teaching since 1999 and holds the full Junior Intermediate certificate. After qualifying at Introductory level she travelled to Pune where she spent three months studying with the Iyengar family, in both the regular & remedial classes. She completed her first visit to Pune by attending the Institute’s Silver Jubilee celebrations in 2000, where BKS Iyengar taught a four day intensive attended by international teacher’s from all over the world. On her return to London she began teaching at Iyengar Yoga Maida Vale, and over the last 12 years has taught across various slots on the timetable; foundation courses, beginners, general level, as well as therapeutic Yoga in the remedial & back pain classes. She has made an additional seven trips to Pune to continue her studies with the Iyengar family and has also attended various intensives with Geeta Iyengar in London, South Africa and Australia. These study periods help refresh both her personal practice and her teaching. When she can’t get to India she continues her studies with visiting Indian and senior European teachers. She considers herself privileged to have studied with some of the finest teachers within the Iyengar tradition. Joyce started Iyengar yoga over 30 years ago at Iyengar Yoga Maida Vale. She is now in her 80’s and enjoying her yoga life which includes teaching, going to classes and her own practice. This keeps her fit and healthy and very happy. Ofra was born and raised on a kibbutz in Israel and took her first yoga classes when she was 40, after years doing sports and running. 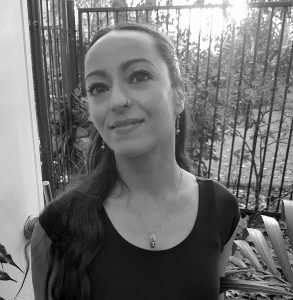 She did her teacher training with Silvia Prescott and started teaching in 2000. She has been to Pune on nine occasions to study with the Iyengar family and holds the Senior Intermediate Level 2 teaching certificate. Megan was a freelance radio reporter for the BBC when she started practising Iyengar yoga in 1994. In 1999 she qualified and started teaching full-time. In August 2010 she went to India to study with the Iyengar family at the Institute in Pune. She holds a Junior Intermediate level 3 certificate. She has previously served as a trustee and Chair of the Teaching Committee at IYMV. Khaled has been practising Yoga since 1998 when he tried it to help relieve a lower back injury. He qualified as an Introductory Level 2 Iyengar Yoga teacher in 2010 and has attended classes in RIMYI in Pune several times, where he studied with the Iyengar family and helped in the medical classes. Khaled is qualified in Immediate Life Support and works as a Cardiac Physiologist. Judy has been practising yoga since 1989, when she was still a solicitor, and teaching since 1996. She holds a Junior Intermediate 3 certificate and teaches classes at all levels from Introductory to Intermediate. She practises yoga to be well and her teaching style is marked by clarity, simplicity and humour. She has visited Pune three times. She is currently an IYMV trustee and a member of the Teaching Committee. She is the current Vice Chair of the IY(UK)’s Assessments & Teacher Training Committee (ATC). Aubrey was introduced to Iyengar yoga in 1989 in South Africa. He has been teaching since 2002 and achieved his Junior Intermediate Level 3 certificate in March 2012. Since moving to London, he has been attending regular classes and developing his own practice. Stuart began teaching at Iyengar Yoga Maida Vale in 1989. Four extended visits to the Institute in Pune, India gave him direct inspiration from Guruji BKS Iyengar and his family. Healthcare experience as a Chartered Physiotherapist, in two NHS trusts, informs Stuart’s teaching confidence. Alaric has been teaching at Iyengar Yoga Maida Vale since 1991 and has been practising yoga since 1983. He has attended classes in Pune and holds the Senior Intermediate certificate. Alaric is a teacher trainer at Introductory and Junior Intermediate Levels. Barbara Norvell is a Senior Intermediate I teacher who has a special interest in teaching pregnancy classes. She continues to develop her own practice by regularly attending workshops with senior teachers and visiting the Iyengar Institute in Pune. She has been teaching since 1999 and her teaching style combines warmth, humour and clear instruction. Korinna has been practising Iyengar yoga since 1983 and started teaching at IYMV in 1995. She is a Junior Intermediate teacher. She is part of the remedial and teacher training teams at IYMV. As well as teaching adults, she teaches one of the longest running children’s classes in the country. She visits Pune regularly. She is the editor of Dipika, IYMV’s magazine. Currently she is a member of the teaching committee and a trustee. Kate started her yoga practice with an Introductory course at IYMV in 1996, where she also undertook her teacher training. She achieved her Senior Intermediate level I certificate in November 2015. She gave up a career in graphic design to pursue her passion for her yoga practice and has been teaching since 2003. She has attended classes in Pune and continues to study with senior Iyengar yoga teachers. Stephen has been teaching at IYMV since 1986. He has taught classes ranging from Beginners to Intermediate, as well as Pranayama and Remedial. He currently teaches Intermediate classes and assists in the Introductory Teacher Training course with Sallie Sullivan. He has been to the Institute in Pune twice. Amparo was born in Bogota, Colombia and came to Britain in 1974. She started practising Iyengar yoga in the 1980s and has been teaching since 1998. She has visited Pune and attended conventions taught by the Iyengars in Germany, Russia and the UK. She holds the Junior Intermediate certificate. Kristyan Robinson began practising yoga as a teenager when she was looking for holistic ways to manage the symptoms of asthma. She found a yoga book in the university library in her hometown in Ontario and tried to teach herself. Her Iyengar yoga practice began in London in 1989 with Shiv Sharma who studied extensively with BKS Iyengar. 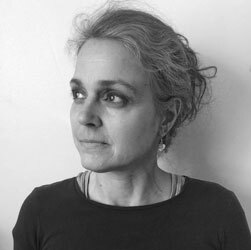 Since 2000 Kristyan has been a student of many of the teachers at Iyengar Yoga Maida Vale where she undertook the rigorous teacher training with Sallie Sullivan and Stephen Richardson and completed her Introductory assessment in October 2015. Hazel Sainsbury began practising Iyengar yoga in 1995. She spent a year studying with and assisting the Chanchanis (senior teachers) in North India before beginning her training to teach in 2003, back in the UK. She has made several trips since then to both the Chanchanis and the Iyengars in Pune. She feels privileged to have had the opportunity to work with senior teachers here in Maida Vale, around the UK and in India. Judy has been teaching for over 30 years at IYMV where she teaches General and and Remedial classes. She regularly visits Pune and often attends workshops with visiting senior teachers. Judy is author of the book “Iyengar Yoga: Classic Yoga Postures for Mind, Body & Spirit” which was published in 2004. Patsy has been practising yoga since 1979 and started teaching in 1993 at Maida Vale. She holds a Junior intermediate certificate, is an assessor for the association, and visits Pune regularly. Her particular interest is in the therapeutic affect of yoga. Sallie started practising Iyengar yoga in 1980. She gained her Introductory certificate in 1986, Junior Intermediate 3 in 1990 and Senior Intermediate 3 in 2004. She has been a dozen times to study with the Iyengars in Pune where she has also assisted in the medical classes, and has attended many events with Guruji, Gita, Abhijata and visiting teachers from India. She is registered for Yoga Therapy with the Complementary and Natural Healthcare Council. Elisabeth started yoga and teacher training with Silvia Prescott in 1978. Her first yoga intensive was in Pune in 1981, taught by B.K.S. Iyengar. Since receiving her Junior Intermediate certificate in 1992, she has been teaching General, 60+ and Remedial classes at Maida Vale. She visited the Institute in Pune every second year until 2013 and her learning continues by attending regular classes with senior teachers. practising Iyengar yoga in 1997 and began her Teacher Training at IYMV, gaining her Introductory Certificate in 2006 and Junior Intermediate Level 3 in 2015. Harshini has studied with the Iyengar family on three occasions in Pune, and continues to attend weekly classes with Senior Teachers. In addition to her yoga teaching vocation, Harshini has trained as an Ayurvedic Medical Practitioner. Harshini has MSc and BSc degrees in Ayurvedic Medicine to complement her MBA and Honours Business Administration degrees.